Based on the philosophy and pedagogy of the Early Years Learning Framework, it recommends a balance of incidental spontaneous experiences combined with specific planned activities incorporating mathematics concepts. Underpinning this is a strong emphasis on a play-based approach. 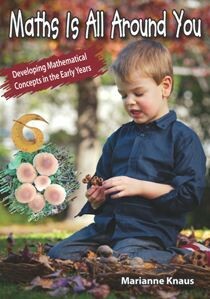 Chapters cover each of strands of the Australian mathematics curriculum and how these might be experienced by children in early childhood settings. Examples of the principles, practices and learning outcomes from the Early Years Learning Framework that link to the various maths concepts are incorporated throughout. This is a practical resource designed to enhance teaching practice. Everyone can teach maths – they just need to know how and what to teach.